It's our favourite time of the year again..Tulip season! The sky was blue and the sun shone brightly on Saturday 17 January to commemorate National Tulip Day, the official kickoff of the season of our dear national symbol, the Tulip. 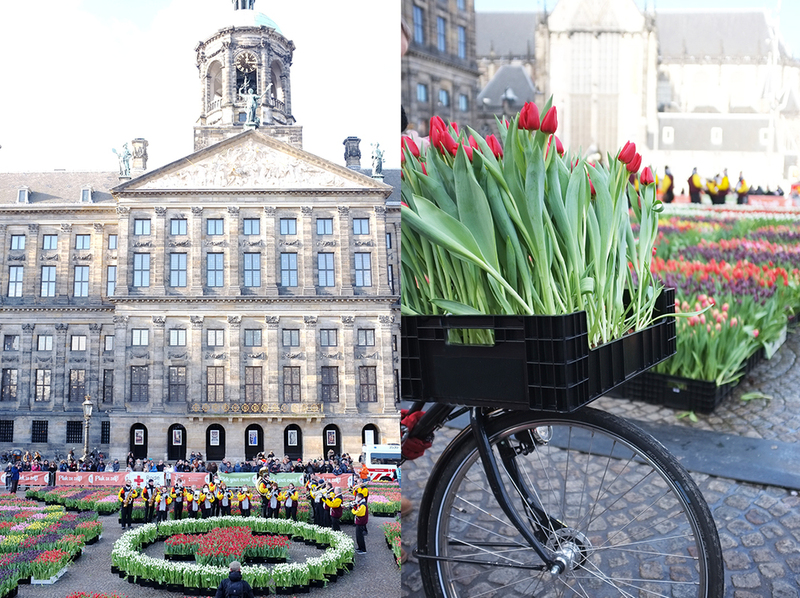 A splendid pop-up garden of 200,000 tulips was setup in front of The Royal Palace of Amsterdam in Dam Square. Dutch locals and travellers alike came by the hundreds willing to patiently line up on this chilly Spring morning to pick a whole bunch of these beauties. We make the most of the 100 days for which the Tulip is in bloom. And they put a fight - once cut, the Tulip continues to grow in the vase! A live band strummed classics and at 1pm, the official opening time, they sounds of the famous tune "Tulips from Amsterdam” gleamed across the garden.